Yee: Is that a snack you have there? Yee loves sharing other people’s snacks. And did Yee mention that your outfit looks great? But not as great as that snack. Say, would you like to share? The Yee character half mask is based in the qualities of love, calm, laughter, desire and joy. The counter mask exists in an ineffective emotional lie and Yee is instantly back to being back in the world filled with light. 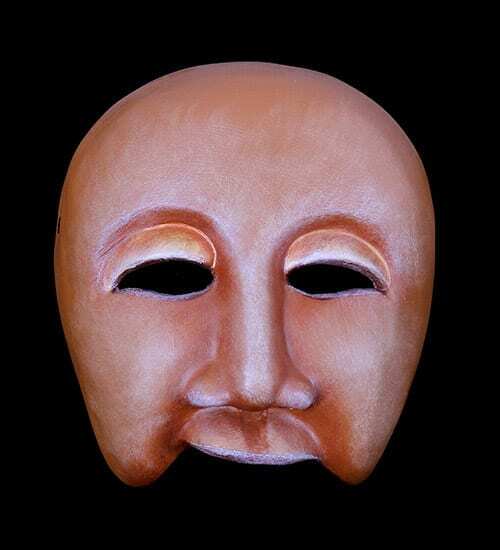 This character half mask has been developed as a mask for schools and professional use. 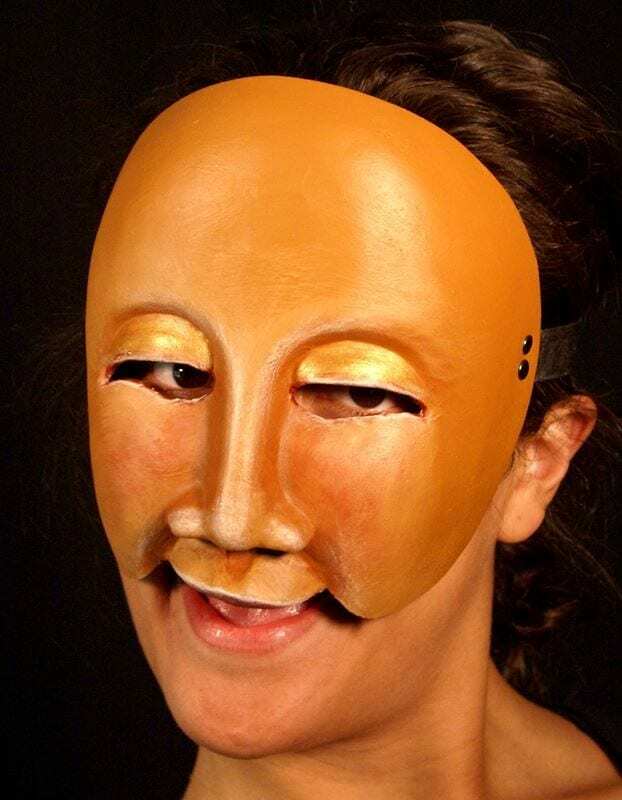 All of the masks are guaranteed to play as an expressive form. 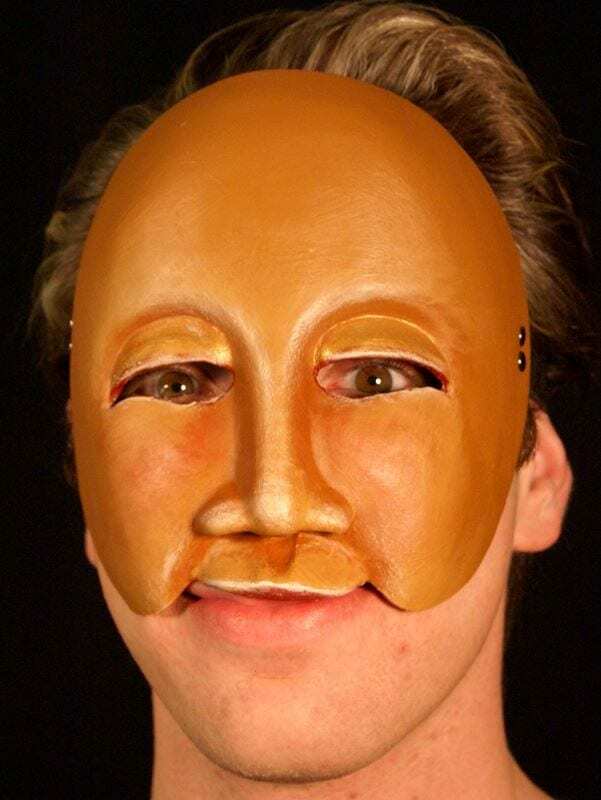 If the mask should fall apart simply ask for a replacement.